Central and Eastern European Committee for Thermal Analysis and Calorimetry (CEEC-TAC), the Italian Association for Calorimetry and Thermal Analysis (AICAT) and the Interdivisional Group of Calorimetry and Thermal Analysis of the Italian Society of Chemistry (GICAT) invite you to participate at the joint 5th Central and Eastern European Conference on Thermal Analysis and Calorimetry (CEEC-TAC5) and 14th Mediterranean Conference on Calorimetry and Thermal Analysis (Medicta2019) which will be held between 27th and 30th of August 2019 in Roma/Rome, Italy. We are pleased to invite you to the International Conference on Plasma Physics and Applications - CPPA 2019, which will take place on 20th–22nd of June 2019 in Iași, Romania. The International Conference on Plasma Physics and Applications, traditionally organized by the Romanian plasma community, reached its 18th edition. 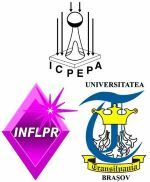 It is organized by the National Institute for Laser, Plasma and Radiation Physics, Bucharest (NILPRP) and Alexandru Ioan Cuza University of Iași (UAIC). The 3rd International Conference on Applied Surface Science will be held at the Pisa Congress Palace, Pisa, Italy from the 17-20 June 2019. The conference will report on and discuss current research on the role and use of surfaces in chemical and physical processes, related to catalysis, electrochemistry, energy, new/functional materials and nanotechnology. Also the various techniques and characterization methods will be discussed. 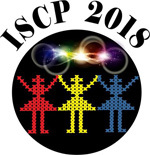 Joint ISCP & INDLAS Conference is granted by The Optical Society (OSA), The International Society for Optics and Photonics (SPIE), the Young Minds Project of the European Physical Society (EPS), and INFLPR. Our aim is to bring together MSc and PhD students, as well as postdoctoral fellows carrying out research in the field of optics and photonics in Romania and the world, thus providing the environment required for sharing and promoting their scientific results and exchanging ideas whilst facilitating networking with their peers, young and senior scientists. We scheduled student technical talks and poster presentations, lectures of distinguished invited speakers as well as social activities. It is our great pleasure to announce that in the period 27-30 August 2018 it will take place the 12th European Symposium on Thermal Analysis & Calorimetry (ESTAC12) in Brasov, Romania. After more than fifty years since its “birth”, the laser is a modern, efficient and elegant tool, with applications in physics, chemistry, biology, analytics, material science, medicine, space and security. The proposed symposium provides an interdisciplinary forum to discuss recent progress in the area of laser-matter interaction and photon processing of materials for basic and applied research. One of the symposium organizers is Maria Dinescu from the National Institute for Laser, Plasma and Radiation Physics (NILPRP). This symposium is focused on Carbon and/or Nitrogen containing thin films and nano-materials. The objective is to provide an exchange platform for scientists, engineers and students dealing with the synthesis, characterization and application of these materials. Experimental and theoretical papers as well as industrial contributions are welcome. One of the symposium organizers is Bogdana Mitu from the National Institute for Laser, Plasma and Radiation Physics. The 4-th Central and Eastern European Conference on Thermal Analysis and Calorimetry (CEEC-TAC4), 28-31 August 2017, Chisinau, Moldova. The Central and Eastern European Committee for Thermal Analysis and Calorimetry invites you to participate at its fourth conference (CEEC-TAC4) which will be held between 28th and 31st of August 2017 in Chisinau/Kishinev, Republic of Moldova. The Conference on Plasma Physics and Applications, traditionally organized by the Romanian plasma community, reached its 17-th edition. It focuses on the recent advances in plasma fundamentals and applications. This edition will include a special workshop dedicated to biomedical applications of plasmas. The organizers of 17-th edition of CPPA aim to provide excellent conditions for discussion and establishing contacts. Leading scientists are invited to give lectures outlining the latest achievements in their field of research. LASER IGNITION CONFERENCE is an international forum for discussion on various aspects of laser-induced ignition, including novel giant-pulse micro-lasers, measurements and characterisation of plasma induced by laser ignition, new phenomena of laser breakdown or advanced combustion systems, packing of laser systems for harsh combustion environments and their applications. The purpose of this meeting is to share information on laser ignition and related sciences and technologies. 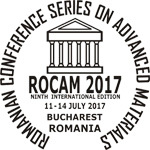 The conference will be held at Hotel Novotel Bucharest City Centre, Calea Victoriei 37B, Bucharest, Romania, on June 20-23th, 2017 with the sponsorship from the European Union, the Micro Solid-State Photonics Group of the Laser Society of Japan and in cooperation with Optical Society of America and several academic societies and associations. The topics range from fundamental laser‐material interactions, theory and modeling to applications with nanoparticles and nanophotonics as well as photoexcitations. The conference intends to create an atmosphere for scientific presentations at the forefront of the field and an informal exchange of ideas in a relaxing environment. Peer-reviewed papers submitted at the conference will be published in a Special Issue of an international Journal. Optical Division of Romanian Physical Society will open on the site of Romanian Physical Society a special specific site, where all the action organized at international and national level in the frame of International Year of Light (IYL) and Light based Technologies will be displayed.